Obituary for Sandra Hall Scott | Marcus D. Brown Funeral Home, Inc.
Sandra Hall Scott, 68, of 730 Murphy Road in Anderson, SC, passed away on Thursday, April 4, 2019 at AnMed Health Medical Center. 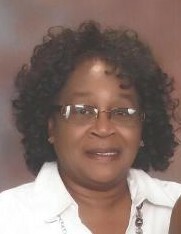 She was a member of Evergreen Baptist Church and she retired from AnMed Health Medical Center. She will be greatly missed by her husband, Jimmy E. Scott, Sr.; two daughters, Stacey Scott and LaKiesha (Michael) Million-Torbert; two sons, Jimmy “Scottie” Scott, Jr. and Atwan (Crystal) Scott; nine grandchildren and two great-grandchildren; two sisters, Shirley (Joe) Scott and Stephanie (Harold) Johnson; two brothers, Ted (Lavonia) Hall and Pharisee Hall; and a host of nieces, nephews, other relatives and close friends. She was preceded in death by her parents, Newt and Minnie Lee Green Hall; one grandson, Courvocia J'Allen Hunter; and three brothers, Curtisee, George and Claude Hall. The funeral service will be held at 2:00 p.m. on Tuesday April 9, 2019 at Evergreen Baptist Church. The interment will follow in the church cemetery. The family is at the home, 730 Murphy Road Anderson, SC.